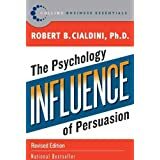 Is Robert Cialdini socially influential? Consistently posting on time is important but what you post needs to be varied or Random (the problem with that word is it’s popular use to mean something else). This holds true of any relationship: physical, personal, transactional, etc. If you are posting, daily, weekly, monthly or at any other fixed period of time try not to miss your slot because when blog readers stop reading our blog or page, they tend to not come back. Hey! You like me, I like you! I follow you, you follow me! “Thank you” or “Thanks” goes a long way. reply personally to ‘one to one’ Tweets and group the ‘multi-Tweep-Tweets’ into groups of 6 tweeters and ‘’Shoutout’ in some way. To make it easier, I get all my mentions emailed to me. I do similar things on other networks, wherever I can. Social Proof does not equal Social Troof! We will always find the evidence to substantiate what we believe, say or think. We make things true. Taking Cialdini’s spin on this, this hasn’t changed. The masses determine what is true and prove it, even if it isn’t true. It is born from agreement and masses tend to agree with mass thinking. With the opportunity to post out to millions of people in one go, then re-posting or re-tweeting what is considered popular can be instantaneous and cascades towards millions more … Isn’t that what is known “Trending”? ‘I iz important cos I sez I iz important! I’ve come across a few of them in my time and the ‘Follow Me or else brigade’ in Twitter prove that one. Not what Cialdini is referring to but close methinks. The easiest way to get authority is have somebody proclaim you an expert. Being an Expert is about reputation rather than knowledge and it attracts others. If the person who is attracted then sees no evidence that you are an expert and that you lack knowledge or understanding or experience, they will personally downgrade you but your reputation will still last longer. An expert is somebody who says or writes something that somebody else hears or reads and then tells someone else. To the third person, who heard or read what the second person has said, the first person will probably become an expert. Now-a-daze, ‘Liking’ is a function, in Social Media. It may mean I like what you have written (emotional) or simply I have read what you have written (function). ‘Likes’ count towards Social Capital scores and Social Capital is a measure of Influence. Unfortunately using ‘Likes’ as a measure in calculating Social Capital means that scores can be manipulated. For example you can visit someone’s page and like everything they have posted –this is known as ‘Like Bombing’. 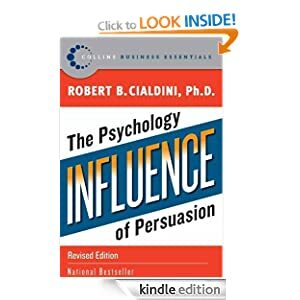 Coming back to Cialdini’s point, if you express like for someone or something about them, you can achieve positive rapport much more quickly and that is good practice. It is also good practice in Social Media. People are usually likeable. Find something to like about them. If you genuinely like what someone has posted then hit the like or favourite buttons. Its good feedback for them and they will like you for it. Probably more akin to Marketing but also tactical in personal relations. Not being readily available is attractive – isn’t that right, girls? This isn’t the truth. Its just my thoughts as a person who has been called an expert by somebody else. I hope you Like what I wrote and that it does bomb. I’ll like you for it! full body matching, half body matching, mirroring, etc. but actually it is much more simple than that! you don’t have to follow their movements to get into rapport although it helps and sometimes there is no alternative, such as young love where you just have to mirror and match! In “That’s a Lie” we looked at what people do with their eyes, which means we can also quickly glean what is their prime sense. Whether it is Visual or Kinaesthetic or Auditory or Gustatory/Olfactory. It is fairly safe to assume that if a person repeatedly looks up, whilst in conversation, they are probably accessing remembered (Vr Visual remembered) or constructed images (Vc Visual constructed) and therefore, their strongest sense is probably Visual. To gain rapport with a Visual you could start using visual words and upward eye movements also. BUT you MUST Calibrate – look at their repeating physiological patterns and test them. What people do with sensual input is part of the way they use their Representational Systems – the systems they use to represent their reality (Sight, Sound, Touch,Smell, Taste and Self Talk) and the sub modalities, which is how they use their senses e.g. how bright, how sharp, how loud, etc. Some people are “Digital”, which means that they offer very little sensual output. Digitals don’t tend to use sensual words like “see”, “feel”, “sound” etc. They tend to have a fixed gaze and they may appear to be “in a world of their own” (they are probably in trance). If a Digital were to explain something in great detail, they would not notice that most of their audience falling asleep – anybody know a professor like that? Since they offer little sensual output they receive little sensual engagement. If someone’s senses are not engaged, they usually go to sleep! If you think Digitals are nerdy or offbeat, consider how someone who is sensually engaged, behaves, in particular, their language patterns. I am high Visual so I say things like “do you SEE my point”, as if there is actually a physical sharp object floating in mid air that you can see!!!!! Clearly illogical. I am visually representing that I want to know that you understand. In a conversation with a Digital, I would get bored very quickly and start LOOKING around because I need visual stimulation quick! I can’t get into rapport through language or eye movement. Fortunately …. left to right and back again repeatedly (shaking one’s head) to represent disagreement – a negative response and upward and downwards (nodding) to represent yes – a positive response. Observe the series of head movements of people while they make decisions and you will usually find they move their heads in a particular pattern. It may start by a look up to the right, switch to a look upwards to the left and then back again before looking down to their right, a Passive Positive movement of the head. i.e. hurry up or cause a decision when one needs to be made – i.e. they cause them to be in Rapport with you. Similarly observe how someone uses their head whilst they relate to past events. Most people never actually tell you what happened. They tell you the story of what happened, which means their focus is internal and they are usually in a trance state. They may tilt their head left, while they are speaking. To interrupt their Past Trance subtly nod your head in the opposite direction – This is a suggestion to their unconscious that should step back into the present where you can suggest by your head movement that they need to make a decision by using THEIR Decision Making Strategy on them. I was not aware of sites like Klout, PeerIndex and Twitalyzer until I attended a presentation by Thomas Power of ecademy.com in December – these sites measure your influence on your social media networks. I was then pleased to go to Klout.com and find my score in the high fifties. Today it stands at 65 and has grown 2 points in the past 3 weeks. Just being aware helps us understand things much better; so thank you Thomas! One of the most common questions we get here at Klout (besides “can you raise my score?”) is “why isn’t my score updated every day/hour/minute?” Obviously we love that people care so much about their Klout scores. It’s exciting when you are retweeted by an influencer or gain a dozen new followers and it’s natural to want to see how those actions are reflected in your Klout score. We approach our measurement of influence from a scientific background and rigorously test our scores to ensure that they are accurate predictions of actions like conversations, retweets and link clicks. This process takes time. We are not just adding your follower count and dividing it by the people you’re following. There is significant analytical processing behind every Klout Score. In fact, Klout measures how much you influence or are influenced by every single person in your social graph. We also semantically analyse all the messages and links you share to understand what you are influential about. As the standard for measuring influence, we believe every interaction and message needs to be analysed in depth to generate an accurate measurement. Most people would agree that social media is rife with people trying to “game the system”. We value consistency over sudden spikes as a means to verify a person’s influence. The Klout Score isn’t meant to be updated on a hourly or daily basis and we believe that this is a good thing. Just like Google doesn’t change your page rank after a single blog post or you would never expect your credit score to change after paying a single bill, we do not believe a single retweet from an influencer should significantly impact your score. Every time we process your score we look back over the last 30 days to generate a holistic view of your activity and overall influence. Our goal with the Klout Score is to provide end users, companies and everyone within the social web a robust and extremely reliable means of understanding the influence, authority and reputation of individuals. This means performing rigorous analysis that does take time, but also using time as a method to verify how influential a person really is (sustained action is more valuable than a brief spike). While this can be frustrating in the short-term our hope is that everyone will benefit from this approach through the more accurate Klout Scores that it produces.